Now, I’ve been a fan of makeup artist extraordinaire Pat McGrath for a very long time, but cannot help being that extra bit in awe this week. 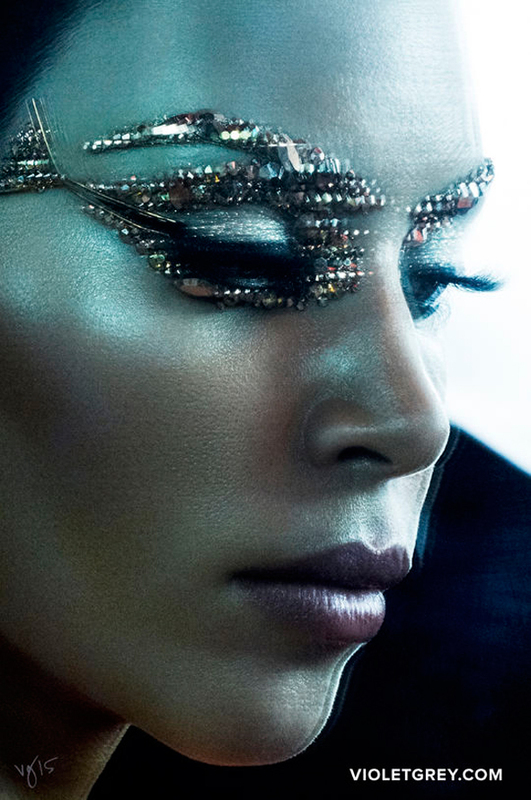 Not only these pics have been released, with all McGrath’s talent and artistry poured over Kim K, but also, as Max factor’s Global Creative Director, Pat designed some Star Wars inspired makeup, to mark the brand’s partnership with the movie. Alert: there will be a Star Wars makeup line. The beautifully crafted light and dark looks are quite something, which is not really a surprise when it comes from Pat McGrath. Be on the catwalk or editorials, Pat kills it every time with her flair, creativity, technique and flawless execution. A true makeup legend. I’ll just leave you now with some more McGrath amazingness. Images from Vogue, Elle and Violet Grey.